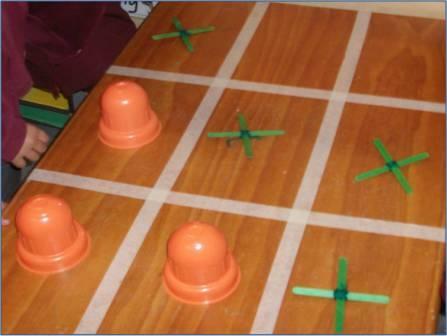 Some of the children made some crosses at the collage table and said “we could play tic tac toe!” The photo shows how it ended up……. it’s currently one of the most popular places of the classroom. Lots of thinking, problem solving, strategising and social skills. Such a simple idea and all child driven!